I thought I'd create a list of all of the players previously drafted (or acquired via trade) by the Lincoln Stars who could be at the 2013 tryout camp next week in Minneapolis, MN. Some of these players were just drafted by the Stars last month, while some others were drafted in 2013, 2012, or 2011 and have been previously protected by the team. This list does not include players who suited up for the Stars last season. I will post a different article soon and mention the players from last season who should be at Ridder Arena next week trying out for the Stars. This particular blog article is VERY long. I didn't want to hog the entire page of the website with this lone post, so click the "Read more" link below to check it out. Thanks. Ausmus is an undersized defenseman who last season played for East Grand Forks (MN) high school as a sophomore. In 30 games played, Ausmus scored 14 points (6g, 8a). According to Chris Dilks of the Western College Hockey blog, Ausmus is a "smaller defenseman that is a smart, responsible puck mover." Tye's older brother Gage Ausmus just finished a season with Team USA U-18. Considering that Chad Johnson is originally from Grand Forks, ND, which is basically the same town as East Grand Forks, MN, I'm sure Tye was a familiar name for the Stars head coach. Tye will not be participating at Lincoln's tryout camp due to recent surgery on his wrist. Bethune played for Warroad High School (MN) last season where he accumulated 49 points (26g, 23a) to go along with 38 PIM's. What's impressive was that he was Warroad's leading scorer as a sophomore. Good size for a 16-year old. I guess the questions is, as it is with all MN high school players, can the Stars convince a kid like Bethune to leave his high school and friends to play in the USHL? Normally, most MN high school players wait until after their senior season to play a year or two of USHL hockey. Click here to view a quick video interview Jared did recently for the USHL. Boehm, who hails from Martensville, Saskatchewan, was the third Canadian selected by the Stars in the 2013 entry draft. In 49 games for the Flin Flon Bombers (SJHL) last season, Brett scored 54 points (25g, 29a) along with 22 PIM's. Only 160 pounds at 6'3" seems a bit skinny, but again, those weight numbers could be off. In the 2012 USHL Entry Draft, Boehm was selected by the Fargo Force in the 22nd round. According to this article, Boehm has committed to play hockey for the University of Minnesota-Duluth starting the fall of 2014. Brenk is a Moorhead, MN native who last season played for the Brookings Blizzard of the North American Hockey League (NAHL). In 59 games with the Blizzard, Eric potted 44 points (22g, 22a) and 108 PIM's. 8 of his 22 goals last season came on the powerplay. In 2011-12, Brenk played 43 games for the Sioux Falls Stampede of the USHL where he scored 7 points (2g, 5a) and added 25 PIM's. With his size and grit, and considering his prior USHL and NAHL experience, Brent should be able to come in right away next season and play a power forward role for the Stars. I did not find any information online which indicates Brenk has committed to a college. Thomas was a senior last season for his hometown Moorhead Spuds (MN) high school team where he scored 42 points (21g, 21a) in 30 games. At only 155 pounds, Carey is a bit undersized at 5'11". However, it's hard to know if the height/weight information given out by the USHL is correct. I found this video online which shows Carey scoring a nice wrister in a game from last season. I have not found any information online that indicates Thomas has committed to a college. Thomas was the first of three players from Moorhead, MN that the Stars selected in the 2013 entry draft. Citron hails from Hartsdale, NY and played for Team Comcast MM (Midwest Elite Hockey League-MWEHL) last season, where he was his team's captain. In 40 games with Team Comcast, Citron scored 14 points (2g, 12a) and added 74 PIM's. Looks like a good-sized, physical, shutdown type of defenseman to me. According to this article, Kenny has committed to play college hockey at Colgate University starting the fall of 2015. The article I just linked to mentions that Citron is 195 pounds, which is a little bigger than what was noted on the USHL's website. Condon played for the Bay State Breakers of the Eastern Junior Hockey League (EJHL) last season where he potted 22 points (6g, 16a) in 43 games played and added 64 PIM's. Condon hails from Merrick, NY. Patrick has played his entire hockey career in the Northeast, so it will be interesting to see if the Stars can convince him to report to Lincoln's tryout camp next week in Minneapolis. Click here and here to read a couple of articles from last year about Patrick. No information online that indicates he's committed to a college. The native of Federal Way, WA (south of Seattle) played 47 games for Team Seattle AAA U16 where he scored 57 points (44g, 13a) in 47 games played along with 116 PIM's. Rylan averaged almost a goal per game for his team last season. Cratsenberg's head coach at Team Seattle AAA U16 happens to be former Lincoln Stars hall of fame defenseman, and former assistant coach, Nick Fouts. Cratsenberg also played two games for the NAHL's Minot Minatauros this past season. Rylan has terrific size for a 16-year old who doesn't turn 17 until December. I'm a Washington native, and I used to live very close to Federal Way, so I'm an instant fan of Rylan and hope he makes the team next season. No information online that indicates he's committed to a college. Jonathan was the first non-American born player drafted by the Stars in the 2013 entry draft and is a native of Rosemere, Quebec, Canada. In 41 games last season for the St-Eustache Vikings AAA, Desbiens scored 37 points (16g, 21a) and was his team's third leading scorer. He also accumulated 48 PIM's in those 41 games. A bit undersized, but he's also very young. It doesn't appear that Desbiens has been drafted by a Quebec Major Junior Hockey League (QMJHL) team, so there may be some interest there from him to play USHL hockey in the USA. If Jonathan were to tryout out and make the Stars roster, he would count has an "import" in the eyes of the USHL. Like overagers, each USHL team can roster only four imports next season. I have not found any information online which states that Desbiens has committed to a college. The first goaltender taken by the Stars in the 2013 entry draft, Dittmer is another Moorhead, MN native. In 27 games for the Moorhead Spuds high school team last season as a sophomore, Dittmer had a record of 13-7-2 with a 2.39 goals against average and a .913 save percentage. Stars goaltender Michael Bitzer is also from Moorhead, MN and played for the Spuds before coming to Lincoln. Dittmer has very good size for a '96. Since goaltenders normally develop a little slower compared to forwards or defensemen, it still may be a year or two before Dittmer is ready for the USHL. He definitely looks like a very good prospect for the future, however. Uncommitted to a college, from what I could find online. Although his hometown is Buffalo, NY, Dunning last season played for the Cleveland Barons Minor Midget team where he scored 37 points (17g, 20a) in 40 games along with 47 PIM's. Former Stars who have played for the Cleveland Barons program are forwards Kyle Gibbons (now at Canisius) and Tucker Brockett (now at Princeton). In the 2012 OHL Priority Draft, Brenden was selected by the Niagara Ice Dogs in the 10th round, so he has options to possibly play major juniors as well. No information online that indicates he's committed to a college. As a junior last season for the Edina Hornets (MN) high school team, Fidler scored 11 points (5g, 6a) and added 28 penalty minutes in 23 games played. Fidler's hometown is Edina, MN as well. Two of Miguel's teammates last season are former draft picks of the Stars: defenseman Parker Reno, and forward Tyler Nanne. Edina won the Minnesota 2A state championship last season. A friend of mine who has seen Fidler play in person a few times said that Miguel had "lots of grit and sandpaper, and was overshadowed by some very good players on Edina's roster." At 6'1", 185 pounds he has very good size. My friend thought that Fidler's style would fit in nicely with the Stars. I assume Fidler will finish his senior season next year at Edina, so this pick may be for 2014-15. I did not find any information online about a college commitment. Last season for Chicago Mission MM U-16, Floodstrand scored 7 points (4g, 3a) in 16 games played. Unfortunately, I wasn't able to find a lot of info about Michael online. He's a bit on the small size, but I'm sure he'll fill out a bit as he gets older. This particular draft pick appears to have been traded by the Des Moines Buccaneers to the Stars. I assume it is part of the trade the Stars made with Des Moines right before the draft that may also include players. Gendron is originally from Shrewsbury, MA and played for The Rivers Prep School out of Weston, MA last season. In 28 games for Rivers, Miles scored 28 points (12g, 16a). Pretty good size for a '96. Unfortunately, I didn't find a lot of info about Gendron online. No information online either that indicates he's committed to a college. Grabowski is a big, mean, physical defenseman who hails from Lawrenceville, NJ and played for the juggernaut Amarillo Bulls of the NAHL last season. In 48 regular season for the Bulls, Joe scored 18 points (2g, 16a) and added 96 PIM's. He was also +34 in those 48 games for an Amarillo team that finished the regular season with a eye-popping record of 46-7-7. In May of 2012, Grabowski was selected by the Dubuque Fighting Saints in the 5th round of the USHL entry draft, but he did not make the team after trying out for them. He later tried out for the Fargo Force but wasn't able to stick there either. Grabowski has been described to me as a "poor man's Mike McKee," which isn't a bad thing. Grabowski has committed to Princeton University for the fall of 2014. The last player selected by the Stars in this draft, Zach played for the Thunder Bay Kings Minor Midget AAA squad last season where he piled up 80 points (38g, 42a) in only 50 games. Grzelewski is originally from Thunder Bay, Ontario, Canada. Solid frame on this kid for such a young age. This is just my opinion, but this pick seems like a flyer to me. Grzelewski is a highly touted kid from Canada who was selected by the Ontario Hockey League's London Knights in the 6th round of the OHL's Priority Draft. The Knight are one of those major junior teams who normally get the kids they want, so it wouldn't surprise me at all if Zach ends up playing for the Knight one day. Having said that, I doubt the Lincoln coaches would have made this pick if they knew for sure that Zach was leaning towards major junior, so hopefully we'll see him at Lincoln's tryout camp next month. Originally from Auburn, MA, Garrett was a senior last season at Cushing Academy PS which is located in Ashburnham, MA. In 29 games for Cushing, Hehir scored 37 points (9g, 28a). Looking at his stats, he appears to be a pass-first type of forward. Garrett was born in 1993, so that means he's an "overager" in the eyes of a USHL for next season. Each USHL team can roster only four overagers each season. The fact that the Stars used their first overall pick on an overager indicates to me that they expect Hehir to come in right away and contribute next season. I have not found any information online that Hehir has committed to a college. Helmuth just completed a season with the Little Caesar's U-18 squad where he scored 29 points (11g, 18a) in 30 games, along with 28 PIM's. Gordie attended Lincoln's tryout camp last June. Helmuth has options outside of the USHL, as he was drafted by the Soo Grehounds of the Ontario Hockey League (OHL) last year. Former Stars forward Brent Tate also came from the Detroit Little Caesars program. From the description of Helmuth's play that I've read online, he sounds like he plays a very similar game to Tate's. If Gordie is still interested in playing in the USHL, I assume we'll see him at Lincoln's tryout camp this June. I almost didn't include Max in this list because he was with the Stars the entire season. However, he has spent the majority of the 2012-13 season on the Stars' affiliate list, despite going to school in Lincoln and practicing with the team. In 18 games with the Stars, Max scored 2 points (both assists). I assume Max is still interested in playing for the Stars, and hopefully will be at their tryout camp here in a few months. I'm not sure the fans in Lincoln really got a chance to see Max at his best. He looked very good at Lincoln's 2012 tryout camp, and was Lincoln's top scorer in the preseason. He should be a big part of Lincoln's offense next season, if he does return. Last season, Jutting scored 20 points (4g, 16a) in 28 games for Mankato-West High School (MN) as a freshman. Good size already, so when this kid fills out he's going to be a monster. Tyler put up some quality numbers on a very good Mankato-West team as only a freshman. Tyler's father, Troy Jutting, was a head coach for the University of Minnesota-Mankato for 12 seasons before he stepped down last year. He is currently an assistant coach at the University of Nebraska-Omaha under Dean Blais and former Stars head coach Steve Johnson. I assume Tyler is still probably a year or two away from playing in the USHL. Kolquist played 57 games for the Muskies last season and scored 27 points (6g, 21a), was -3, and accumulated 42 PIM's. Since he was born in 1993, Kolquist is an "overager" in the eyes of the USHL for the 2013-14 season. Each USHL team can roster only four overagers each season. The Stars potentially don't have any players returning from last season who were born in 1993, so Kolquist could be one of Lincoln's four overagers next season. In the 2012 USHL Entry Draft, Kolquist was drafted in the fifth round by the Sioux City Musketeers after completing his high school career at Hermantown High School in Hermantown, MN (his hometown). In 31 games for Hermantown in 2011-12, Kolquist scored 41 points (14g, 27a) and added 38 PIM's. As far as I know, Kolquist has not committed to a college yet. Casey calls Bartlett, Illinois his hometown. In 61 total games for Team Illinois Major Midget last season, Casey scored 63 points (30g, 33a) along with 32 PIM's. Linkenheld scored 31 points (14g, 17a) and added 12 PIM's in 31 High Performance Hockey League (HPHL) games. I've been told that Casey was a U17 select and 17 USA camp invite, and is a late bloomer. Former Stars who have played for the Team Illinois program are Chris Forfar, Rick Carden, and Garrett Peterson. No information online that indicates he's committed to a college. Loven was the youngest player selected by the Lincoln Stars in the 2013 entry draft, coming in at only 15 years old. As a freshman last season for his hometown East Grand Forks (ND) high school team, Grant scored a very impressive 24 points (10g, 14a) in 31 games played. Damn good numbers for a freshman. One of Grant's teammates last season for EGF was defenseman Tye Ausmus, who was Lincoln's first overall pick in the 2013 Futures Draft. This is obviously a player the Stars want to groom and hopefully call up in a few years. No information online that indicates he's committed to a college. The native of Algonac, MI played 29 games for the Detroit based Honeybaked MM program last season where he scored 33 points (19g, 14a) in 29 games, along with 25 PIM's and was his team's leading scorer. Marchin also played three games for the NTDP Team USA U-18 squad last season, and one game with the NTDP Team USA U-17's. For a 17-year old, Tommy has very good physical size. I have not found any information online that indicates he has committed to a college. The only native of California (Los Angeles) selected by the Stars in the 2013 entry draft, Maruya scored 33 points (15g, 18a) in 40 games last season for the Los Angeles Jr. Kings MM. He also racked up 48 PIM's. I have not found any evidence online which states that Maruya has committed to a college. Not a ton of information out there that I could find in regards to Taylor. This giant of a goaltender hails from Prince Albert, Saskatchewan, Canada. Last season, MacAuley split the season between the WHL's Medicine Hat Tigers and the Yorktown Terriers of the SJHL. Dawson started the season with the Tigers where he went 1-3-0 with a 3.84 goals against average and a .881 save percentage. Dawson was cut by the Tigers and his WHL rights were acquired by the Calgary Hitmen. MacAuley finished the 2012-13 season with the Terriers where he went 16-6-1 with a 2.14 goals against average and a .921 save percentage. According to this article, MacAuley recently had his WHL rights traded from the Calgary Hitmen to the Regina Pats. Because he's played major junior hockey, Dawson cannot play college hockey in the United Stats. I'm thinking this was a flyer pick by the Stars, meaning it was kind of a shot in the dark. According to this tweet by MacAuley, he was surprised to hear he was drafted by the Stars and doesn't seem all that excited about it. I doubt we'll see him at Lincoln's tryout camp next week, but you never know. Tyler just completed his junior season at Edina High School (MN) where his team won the MN Class AA state championship. In 31 games for the Edina Hornets this past season, Tyler scored 23 points (10g, 13a). The Stars brought Tyler up for two games in March this past season. Tyler's older brother Louie is a former draft pick of the Lincoln Stars. Tyler Nanne is the grandson of Minnesota hockey legend Lou Nanne, and is the cousin of current Stars forward Vinni Lettieri. One of Tyler's teammates at Edina HS is Parker Reno, who was a 2011 Futures Draft pick of the Lincoln Stars. From what I've been told about Nanne, he can play both forward and defense. O'Neil hails from Hummelstown, PA, and last season he played for the Wichita Falls Wildcats of the NAHL. In 41 games for the Wildcats, Conor scored 39 points (21g, 18a) along with 36 PIM's. O'Neil actually started the 2012-13 season with the NAHL Amarillo Bulls and played 8 games with them before he was traded to the Wildcats. Last year around this time, O'Neil was drafted in the 12th round of the 2012 USHL Entry Draft by the Des Moines Buccaneers Much like Eric Brenk, O'Neil is forward who has some good juniors experience, and was nearly a point-per-game player in the NAHL. I'm sure the Lincoln coaches are hoping O'Neil can come in and contribute right away. Before his time in the NAHL, O'Neil played a season with the New Jersey Rockets program, which is where Stars forward Zach Aston-Reese and defenseman Daniel Willett played before coming to Lincoln. Uncommitted to a college from what I found online. Joshua hails from Saline, Michigan. Owings scored 5 points (2g, 3a) in 23 games last season for Detroit Little Caesars MM. He also accumulated 65 PIM's, but 34 of those came in one game. He's got some size, but I'm sure the Stars are going to want him to fill out a bit. He's still only a '96, so plenty of time to add more muscle. A friend of mine who has seen Owings in person told me that Josh is a "tall, lanky defenseman that plays with an edge, and is a potential shutdown type of player." I have not found any information online about Owings committing to a college. NAHL stats: This is a name most Stars fans should be familiar with. David had a great tryout camp with the Stars last June, where he was one of the top scorers. Coming into this past season for Lincoln, David had shoulder surgery and didn't play his first USHL game until 11/9/12. Parrottino happened to score his only USHL goal (and point) in his first USHL game wearing the Stars uniform. David ended up playing in 7 games for the Stars before he was sent to the Port Huron Fighting Falcons of the NAHL. In 17 games for Port Huron, Parrottino scored 15 points (4g, 11a). I like was this kid brings to the table, so I really hope to see him at Lincoln's tryout camp this June. He suffered through the shoulder injury last season, but I think that he could contribute a lot to the Stars next season when he's 100% healthy. Originally from Saskatoon, Saskatchewan, Canada. The first defneseman chosen by the Stars in the 2013 entry draft. In 47 games with the Humboldt Broncos of the Saskatchewan Junior Hockey League (SJHL) last season, Cody scored 20 points (4g, 16a) and 20 PIM's. According to this link, Cody has committed to the University of Alaska-Fairbanks for 2014. In 2009, Pettapiece was drafted by Edmonton Oil Kings in the Western Hockey League (WHL) Bantam Draft. Does the last name sound familiar? Well, it should. Michael is the younger brother of former Stars defenseman Matt Prapavessis. Michael is from Oakville, Ontario, Canada and played for the Toronto Lakeshore Patriots of the Ontario Junior Hockey League (OJHL) last season. In 25 games for the Patriots, Michael scored 11 points (2g, 9a). 4 of his 11 points with the Patriots came on the powerplay, so I assume Michael plays a very similar style to his brother, who was an offensive-defenseman yet solid in his own end. Michael was at Lincoln's tryout camp last June, so I hope to see him there again this June. The native of Duluth, MN played last season for the Bismark Bobcats of the NAHL where he scored 27 points (6g, 21a) in 37 games played and added 50 PIM's. 18 of his 27 points come on the powerplay, so Repensky is obviously a good PP quarterback. Despite only playing 37 games, Repensky was the highest scoring defenseman on the Bobcats. Due to his strong finish to the 2012-13 season, Repensky was named to the NAHL's all-rookie team. One of Nate's teammates this past season with Bismark was former Stars forward Bob Kinne. In the 2010 USHL entry draft, Repensky was chosen in the 16th round by the Chicago Steel. He may have been the last player chosen in the 2013 entry draft, but after looking at his stats, I think Rapensky has a pretty good shot at making the Stars' roster this next season as an overager. He's a quality puck-moving d-man who has some good experience in the NAHL. Click here to read an article from the Bismark Bobcats' website which highlights Repensky. No information online that indicates he's committed to a college. Is the town of Shrewsbury, MA a hockey hotbed? Surprisingly, Rutigliano was the second player from Shrewsbury, MA (population 31,640) selected by the Stars in the 2013 entry draft. In 39 games for Boston Advantage Minor Midget program last season, Rutigliano scored 27 points (4g, 23a) along with 43 PIM's. Three of his four goals came on the powerplay. Nick just turned 17 years old last month, so he's got really good size at that age. No information online that indicates he's committed to a college. The second straight New Yorker chosen by the Stars in the 2013 entry draft, Sacco (from Brooklyn, NY) could be a name that some Lincoln Stars fans remember. During the 2011-12 season, Sacco played 24 games for the Omaha Lancers where he scored 10 points (4g, 6a). Dominick stated the 2012-13 season with Omaha and he played six games for the Lancers before he was cut. He finished the 2012-13 hockey season with the New York Apple Core Select Jr. B team where Sacco scored 18 points (9g, 9a) in 16 games. We'll not try to hold his time with the Lancers against him. :) No information online that indicates he's committed to a college. Scherer is the only player on Lincoln's protected/affiliate list that wasn't originally drafted by the Stars. William was a free agent invite at Lincoln's tryout camp last June, and performed well enough to both camp all-star games. In 40 games with the St. Louis AAA Blues this past season, William scored 17 points (3g, 14a). Sherer is originally from St. Charles, MO, which happens to be the hometown of former Stars fan favorite, and current Chicago Blackhawk, Brandon Bollig. I think William has a very good shot at making Lincoln's roster in 2013-14, assuming he's at Lincoln's tryout camp this June. Schmit is originally from Fargo, North Dakota. This may be another familiar name to some Stars fans as he served as an emergency goaltender for the Stars this past season in November, I believe. Schmit has a very interesting story, as he has overcome a lot in the last year. In July of 2012, he was critically injured in a boating accident in which suffered "broken bones, a fractured hip and multiple deep cuts." Schmit spent a lot of time last summer and fall rehabbing, and he finished the 2012-13 season with the NAHL's Wenatchee Wild where he went 4-2-3 with a 2.01 goals against average and a .916 save percentage. Nick's come a long way since his accident less than one year ago, so I hope this young man gets a good shot at making this team. No information online that indicates he's committed to a college. Gotta love a kid whose first name is "Angus." Last season, Angus played for the Notre Dame Argos of the Saskatchewan Midget AAA Hockey League where he scored 19 points (7g, 12a) in 42 games played along with 34 penalty minutes. Angus is originally from Salt Lake City, Utah. Found this article from a few years ago when Scott originally signed with the Notre Dame Argos. Like Bethune, Scott has very good physical size for a 16-year old. I wasn't able to find a lot of information about Angus online. Shiplo, who hails from Oakville, Ontario, Canada, scored 10 points (3g, 7a) in 46 games for the Des Moines Bucs last season along and was -12 with 33 PIM's. Luke has committed to Western Michigan University for 2014, so like Voltin, he will play one season for the Stars. Because he was born in Canada, and has only played one year of hockey in the USA, Shiplo is considered an "import" in the eyes of the USHL. Every USHL club can roster only four imports each season. Former Stars defenseman Matt Prapavessis, and his younger brother Michael (who is a Stars affiliate defenseman), is also from Oakville, Ontario. Simonson hails from Grand Forks, ND which is the hometown of Stars head coach Chad Johnson. Because of that, I'm sure Simonson has been on Chad's radar for quite a while. Last season for the Austin Buins of the NAHL, John scored 57 points (27g, 30a) in 59 games. 24 of Simon's 57 points came on the powerplay. Jason Feldman, who covers the Austin Bruins for The Post-Bulletin newspaper, described Simonson as "Not dynamic, but doesn't make mistakes. Can play PP, PK, all situations. Very solid all-around player, great team leader." Considering the Stars don't return any players born in 1993 (overagers ) from last season, Simonson should have a good shot at making the team and providing a leadership role. I really, really like this draft pick. John's older brother Alex played hockey for the USHL's Chicago Steel, and currently plays for the University of Nebraska-Omaha Mavericks. Click here and here for a couple of articles I found online about Simonson. No information online that indicates he's committed to a college. Voltin, who is originally from Blaine, MN, played 60 games for the Bucs last season and scored 26 points (7g, 19a). In those 60 games, Luke was -17 and added 50 PIM's. The year before, Voltin started the 2011-12 season with Team USA U17 and scored 6 points in 11 games with them before he was dismissed by the NTDP in January of 2012. His USHL rights were originally acquired by the Chicago Steel after his dismissal from the NTDP, but the Steel traded Voltin to the Des Moines Bucs shortly after. 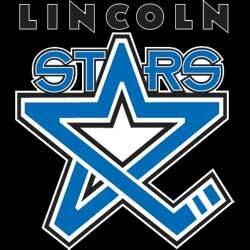 Luke has committed to the University of North Dakota for 2014, so he will play one season for the Lincoln Stars. Physically, the most USHL-ready player the Stars selected in the 2013 Futures Draft. In 22 games for the West Michigan Hounds (U18 and U16) of the North American Prospects Hockey League (NAPHL), Keegan scored 6 points (3g, 3a) to go along with 45 PIM's. Just looking at his stats, Ward definitely plays with an edge. Keegan was one of only three players born in 1997 that participated in Lincoln's tryout camp in 2012, so he's obviously a familiar face and name for the Lincoln coaches. Ward contacted me on Twitter and said he will be at Lincoln's tryout camp once again this June. According to this article, Keegan practiced with the Lincoln Stars this past January at the IceBox. First of all, what a name. Not only did the Stars draft an Angus, but they drafted an August as well. Good luck getting that whole last name on the back of a jersey. Last season, August scored 12 points (5g, 7a) in 15 games for the Idaho Jr. Steelheads of the Western States Hockey League (WSHL). According to this link, August is described as a "lanky kid that still has room to grow into his body but already showcases above average foot speed and a tenacious forecheck. He also practices mixed martial arts on the side and has been victorious in his efforts more times than not." You'd think with a name like that August would be from Europe, but he is originally from Boise, Idaho. Stars forward Garrett Brossart contacted me on Twitter and said August practiced with the Stars this past season for a week. Brossart also said that August was a great kid with a lot of skill. I will post another article soon which talks about the returning Stars from last season who could be at Lincoln's tryout camp next week in Minneapolis, MN.